The ultra-indie, vinyl-only Masstropicas label is back from Peru with another find. 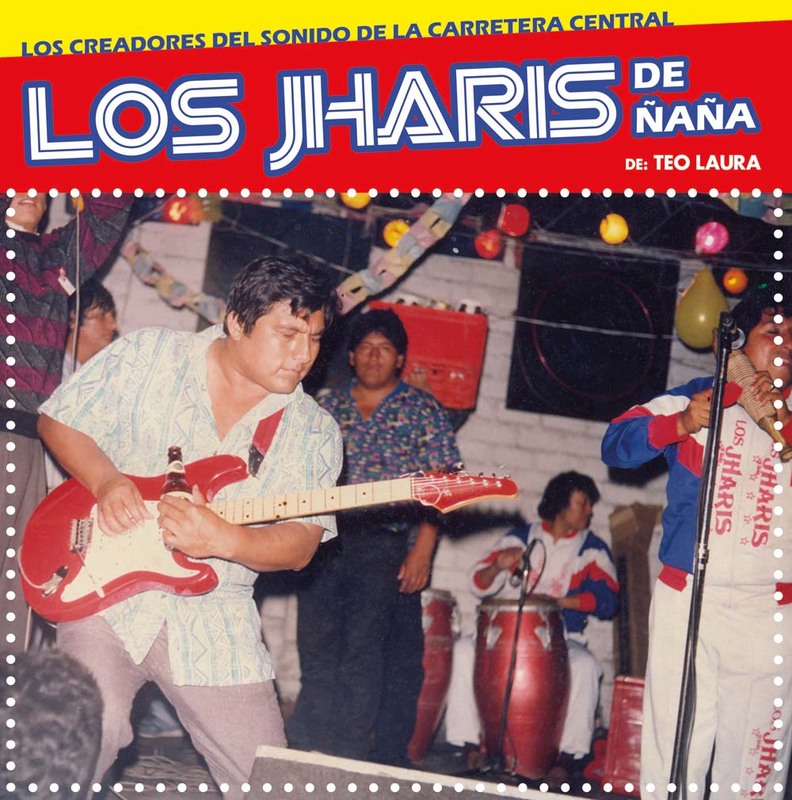 Los Jharis De Nana, led by guitarist Teo Laura, started playing in the mid-1970s; they have a twangy, swirly sound (lots of echo, fuzzbox, flanger, etc.) that is the essence of what is now known worldwide as chicha or psychedelic cumbia. This recording was originally released (on cassette, naturally) in the mid-80’s; apparently the band is still active today. A ride-along with the Los Jharis LP is a new single from a band called Sensacion Shipibo. They’re from the Peruvian selva (rain forest) region, and Masstropicas recorded them on site in Yarinacocha. They call their style cumbia-masha and sing in both Spanish and the local Shipibo language (which sounds oddly to my ear like Japanese, especially on track 8 -- maybe it’s a tonal or pitch-accented language?). Although the band’s creative process involves the use of ayahuasca (a naturally-occurring psychotropic drug), their sound, flavored with accordion and syndrums, is decidedly less psychedelic sounding to American ears than bands like Los Jharis. Another quality addition to the chicha catalogue from a very intrepid record label. Moussu T E Lei Jovents | Empeche-Nous!